Skilled nursing is needed when you or your loved one requires a licensed nurse to manage, observe, or evaluate your care. Our nurses are compassionate and well trained, and they truly care about each resident. At Westminster Health Care Center we have a Medical Director who coordinates and approves medical services, and a Director of Nursing who oversees all aspects of healthcare within the community. Our community also has in-house, on-going continued learning courses and CNA training programs. Our registered dietician designs our dietary program with the residents in mind. We follow physician orders to meet the needs of each resident, while making sure the meals are enjoyable and full of flavor. We also administer oral supplements, as prescribed by physicians, and provide regular nutritional assessments by our on-site registered dietician. Our social services department seeks to help each resident attain their highest practicable physical, mental, emotional, and psychosocial health. 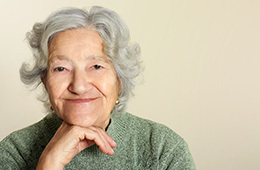 We are aware of the worth and uniqueness of each individual, and we treat each resident with respect. Our social services department creates an atmosphere of growth for our residents, and we spend a great deal of time working with both residents and their families in difficult transitional periods. We also foster a supportive environment with the residents. We do this through ensuring each resident has adequate decision making opportunities, providing tours for potential residents and families, assessing psychosocial health, and guiding each care plan.